Koh Haa Archipelago and Hin Daeng / Hin Muang Dive are beautiful Thailand Dive Sites part of a National Marine Park in the southern Andaman Sea. This national park is open to visitors and accessible only between October 15 and May 15 each year. All these dive sites offer fantastic diving with pristine coral reefs, good visibility and a great abundance of marine life from the usual reef fish and creatures to pelagic predators such as Giant Trevally & Tuna. Hin Daeng & Hin Muang are also famous for the frequent sights of Oceanic Mantas and Whale Sharks! 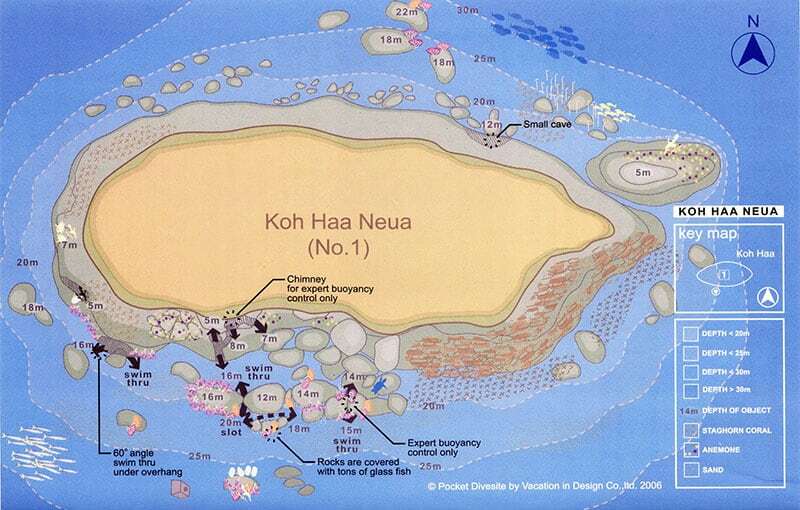 Koh Haa Neua is the northernmost island in the Koh Haa Archipelago, as the word “neua” in Thai actually means “north”. The highlight of this dive site is a chimney inside of the reed that has the entrance at a depth of 14 meters and goes up vertically to two shallow exits at 8 and 5 meters depth respectively. 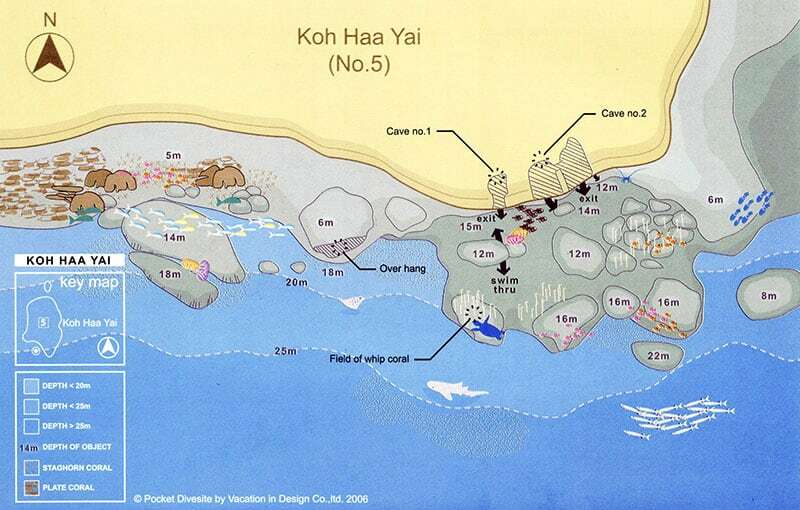 Koh Haa Yai is the biggest island of the archipelago, in fact the word “yai” in Thai means big. This Thailand dive site is very popular because of “the cathedral” a massive alcove that creates a unique environment for divers and beautiful lighting. 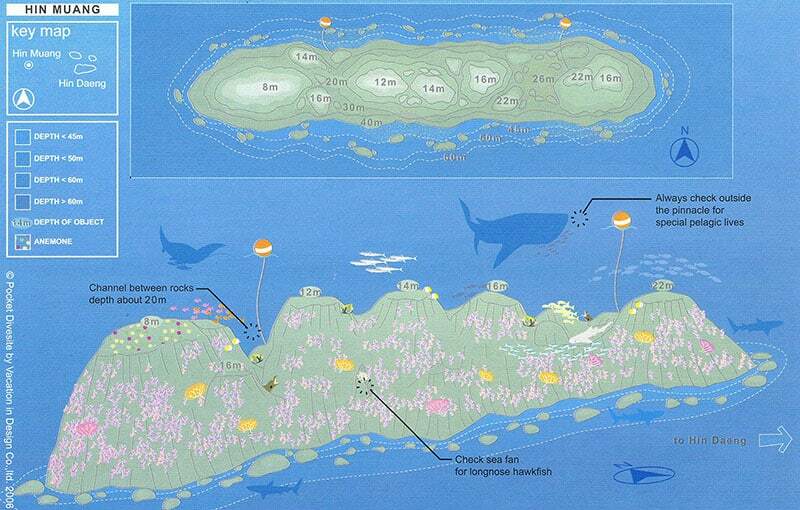 Hin Daeng dive site is a partially submerged pinnacle located approximately 20 miles south of Koh Haa archipelago. The word “hin daeng” in Thai literally means “red rock”, this Thailand dive site is named this way because the pinnacle/rock is mostly covered by red soft corals. 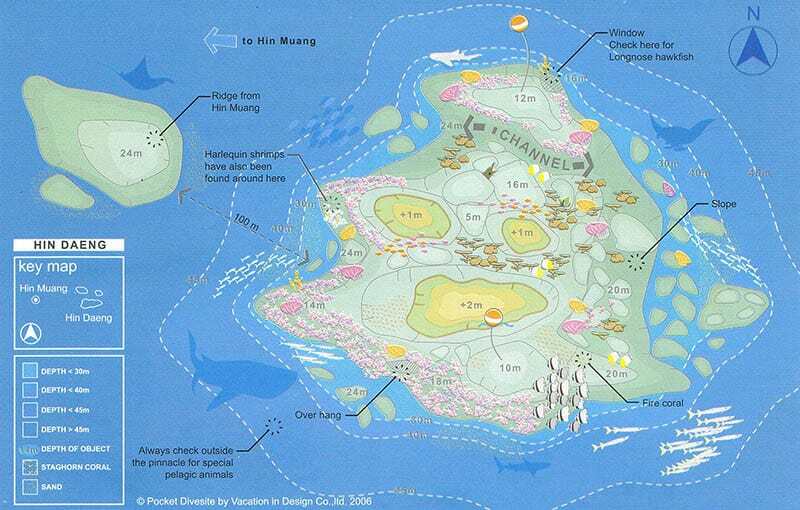 During the right season it’s often possible to spot Whale Sharks and Mantas at Hin Daeng. Hin Muang is a completely submerged pinnacle located just a couple of hundreds of meters from Hin Daeng. The pinnacle is mostly covered by purple soft corals, which is what gives the dive site its name (in Thai the word “hin muang” means “purple rock”. This is one of Thailand’s best dive sites and in season it’s also possible to spot Mantas and Whale Sharks.